Fave lips and tips from MAC A Fantasy of Flowers - with swatches! The MAC A Fantasy of Flowers collection is full of spring-worthy shades and since there are so many that it might be hard to choose, check out my pretty, pretty picks for inspiration! Cremesheen Glass in Galaxy Rose - don't be scared off by how deep the colour seems in the tube - it goes on as a perfect wash of stain-like popsicle pink! The nail color is pretty! 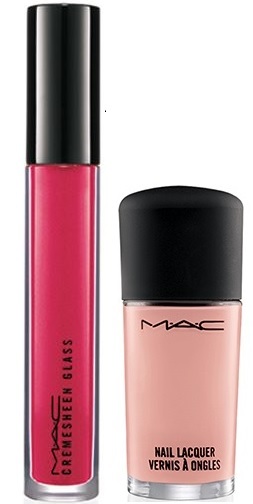 I've never tried a MAC nail laquer. Might have to change that soon!